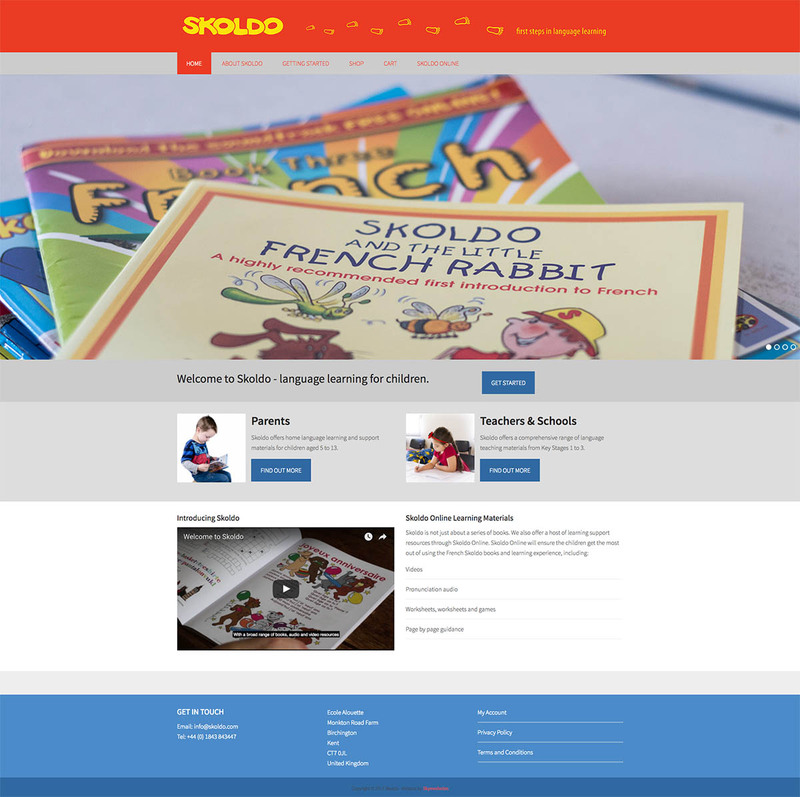 We were approached by this client to redesign their existing e-commerce website selling their established range of books and associated materials for children for learn French. The project involved logo redesign and illustrations, e-commerce website design & development. 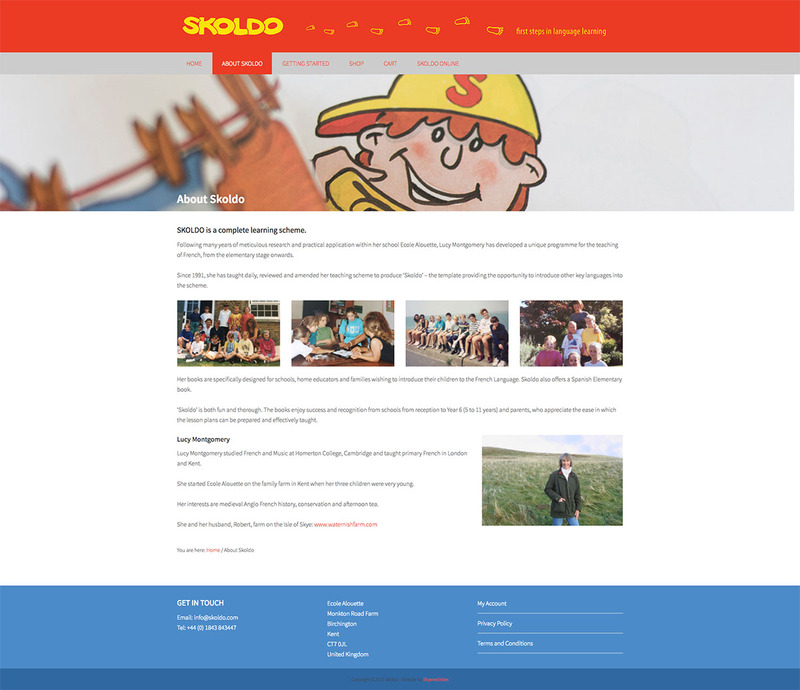 The website was a complex one, comprising standard pages, a shop with a range of age-related materials, and an online guidance section with supporting audios and videos. We used WordPress and WooCommerce to design a flexible e-commerce site for the client. As the previous website was older and complex, the brief was to simplify and streamline access to both the materials for sale and those free support materials. This involved getting to know the products well and coming up with a clear sitemap and selling process for each age group. 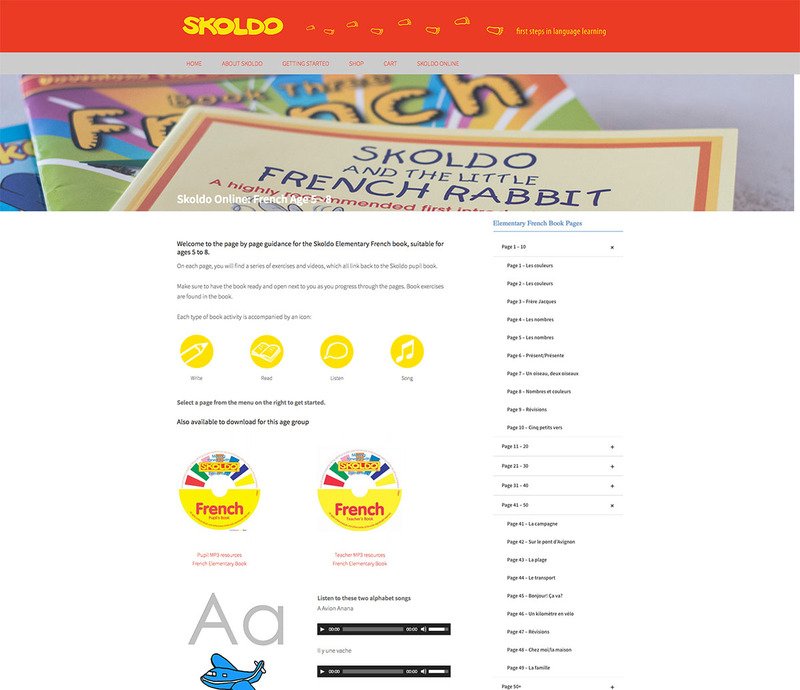 Working with newly developed and existing graphics, we chose to keep the site design both bright and simple, using the primary colours of the books for the headers, footers and illustrations (which also work as signposts for visitors) and plain white background against which the books and other products can stand out. We also developed easy ways for customers to access and download a mixture of audio, video and PDF downloads without affecting download times or the size of the website. Altogether, it is now an agreeable browsing experience with bold graphics in a simple layout, which should appeal to both parents and schools, the client’s main customers. THINKING OF LAUNCHING A NEW BUSINESS OR REBRANDING?